Inder Loves Folk Art: Keep your lamp trimmed and burning. Dear friends! I hope you are having a lovely holiday season. As my friends and Instagram followers know, our family has had a sad loss - we said goodbye to Steve's dad, our beloved Grandpa Frank, last week. After a short illness, he passed away peacefully on Tuesday night with his children gathered around him. I want to thank all of you who have prayed for us and kept us in your thoughts these past weeks - I appreciate your kind words. We are doing okay. 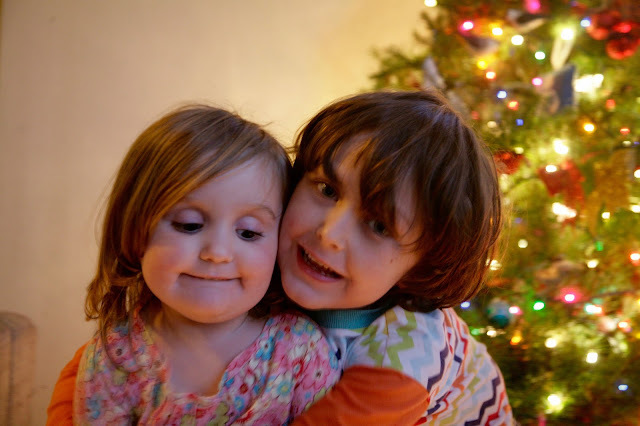 It's good to have kids at a time like this - they keep us grounded in the present, and their joy and excitement about Christmas is irresistible. While Steve was in the hospital, the kids and I stayed home, waiting for news. Maggie caught a stomach flu last week and we didn't want to bring that to Steve's family - later Joe and I caught it as well, so this was a good decision! Those days of waiting were anxious and stressful, but I passed the time by working on several Christmas projects. I made stockings for Steve and my brother, to complete our set. I still have the stocking my grandmother made me as a child (below, far right) and I made stockings for the kids last Christmas (shown here). So this year, I made stockings for the grown up guys in the house. I used simple stripes of Christmas fabrics for Harpal's stocking. I printed out his name in large, bolded Courier font and sewed felt letters onto the cuff by hand. 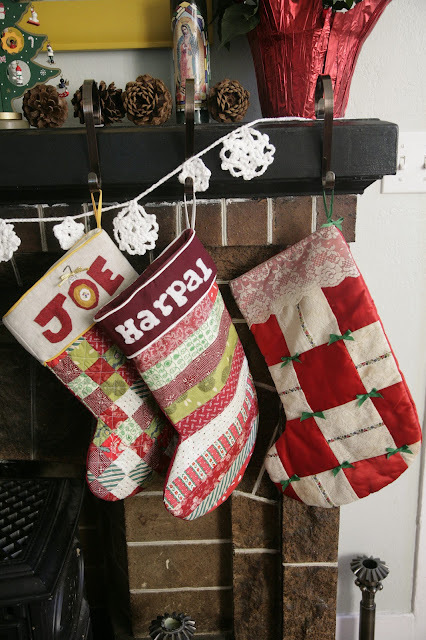 When Harpal would ask me for a small favor or try to rib or tease me, it was fun to respond "oh don't mind me, I'm just painstakingly sewing your name on your Christmas stocking by hand, it's no big deal." 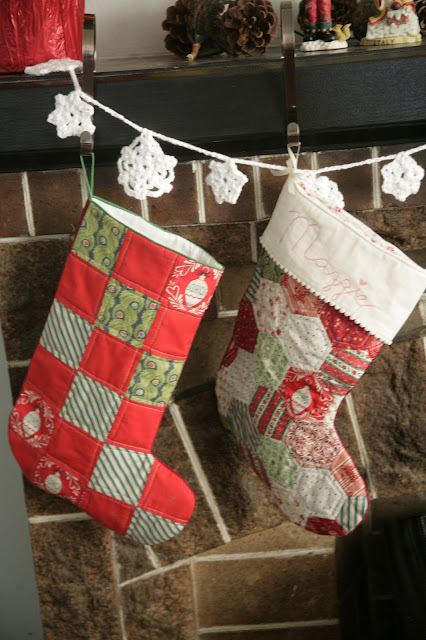 How many sisters make handmade stockings for their brothers, I would like to know? I will milk this for all that it's worth, naturally! Since my stocking doesn't have a name on it, I decided to leave Steve's blank as well, and go with a simple patchwork pattern. I like the simplicity, but compared to the others, it does seem like it's missing something. I may go back and add a cuff next year, we'll see. I am glad to see everyone accounted for his year! I trust Santa will not disappoint this year! It was a dreary and sad day, with Daddy gone to be with his dad at the hospital, and the kids and I had been moping and/or acting out a bit. So we decided to go get a tree and get it all set up to cheer ourselves up and surprise Daddy when he got home. You may laugh, but it felt like a big deal to take the kids to get a tree and get it into and out of the car all by myself, and set it up in its stand! I have grown to depend on Steve to do all of the tree hauling and wrestling! Joe and I were quite proud of ourselves (and pretty dirty!) when we got it all set up. The kids also picked out some decorations while we were out, including that blingy gold and red ornament wreath (I tried to talk to them into a more natural green wreath, but they weren't having it!). Joe, our budding engineer, took responsibility for testing all of the lights to see which strands still worked (why, oh why, do I pack the broken strands away with the good ones every single year? I have problems! 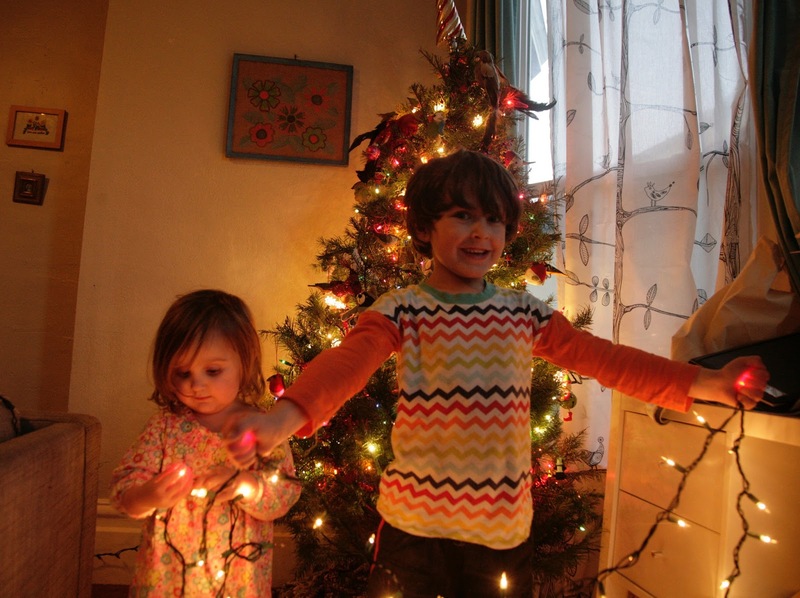 ), and both the kids helped me string them on the tree. The kids were so helpful and excited about Christmas and we all had a really nice time. Seeing their delight over all the ornaments and lights filled me with joy as well - it was truly magical. I will always treasure this somewhat sadsweet memory! 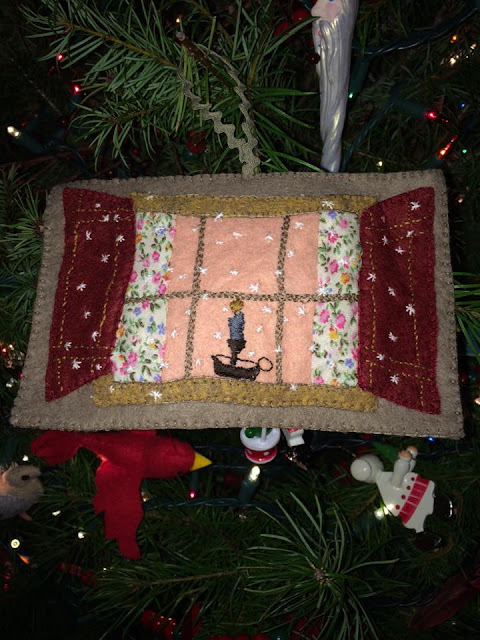 In days that followed, knowing that our dad and grandpa probably wasn't going to make it, talking about end-of-life decisions, and then finally hearing that it was all over, I stitched this little ornament from Alicia Paulson's Winter Cabin ornament kit (the kits are sold out but you can buy a PDF pattern and source the supplies yourself). I haven't found a good way to transfer markings onto felt, so I had to eyeball the embroidery design and it is quite a bit more homely than the original, but it was a soothing activity during a hard time. While I was stitching and waiting, I kept thinking of the song, "Keep Your Lamp Trimmed and Burning," (there are many versions, all based on the imagery of the Parable of the Virgins in Matthew 25, but this bluegrass version performed by Hot Rize is one of my favorites). "Trouble and trials are almost over ... see what my Lord has done. Keep your lamp trimmed and burning ... see what my Lord has done." I know this ornament shows a candlestick, not an oil lamp, but the symbolism is very similar. Even on the darkest nights, there is always a little light. That's the whole point, isn't it? Inder, I'm so sorry for your family's sad loss. I really enjoyed reading this post, though, you did a great job of capturing the bittersweet time for your family. The photos are beautiful, as are the stockings. Every year I say "next year I will make stockings." But all four of my kids still have crummy felt Target stockings. I tried to make myself feel better about it by embroidering their names on all of them, but they are still crummy Target stockings. I have a feeling it will be that way for awhile. Merry Christmas! Beautiful post. Kids do have a way of finding the magic even on the darkest days. Inder, I'm so sorry for your family's loss. 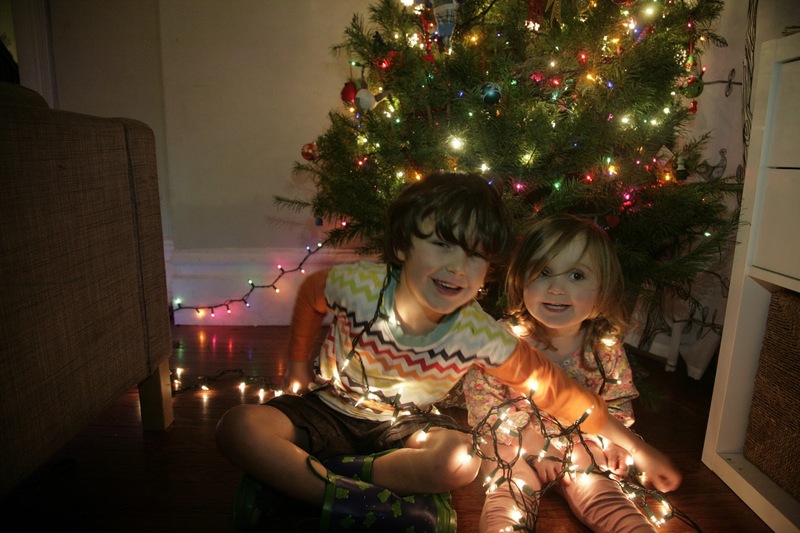 It sounds like you and the kids made some sweet memories decorating the house in the midst of a challenging time. 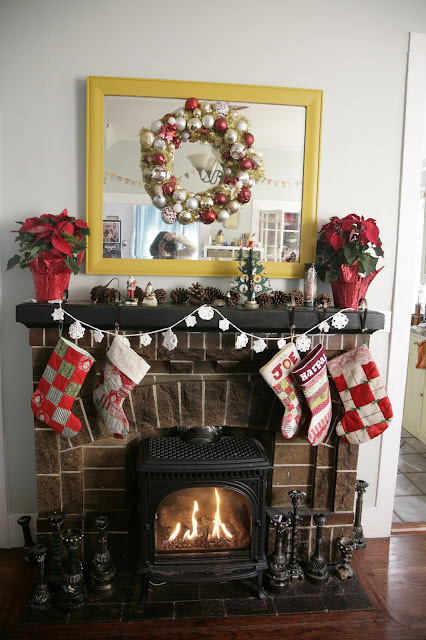 Your stockings are so pretty and I love your little snowflake garland. That felt ornament is adorable! I hope you have a Merry Christmas! Oh Inder, this may be my favorite post you have ever written! It's so beautiful, nostalgic, sad, touching, beautiful, repeat, all in one post! Your Christmas stockings are AMAZING! And these photos could not be any more perfect! Merry Christmas, friend! And I am so sorry for your loss. Your family will be in my thoughts and prayers today! I am very sorry for your loss Inder. So sorry for the loss of Steve's dad. Sounds like he was surrounded by loved ones. I'm sure you will remember him especially every year when you use the stockings and felt ornament. I had forgotten about that song until I read your post title! Our school choir used to sing it. More like this version: https://www.youtube.com/watch?v=no93ETd43B0 Music is so emotionally evocative isn't it? Ah, so sorry to hear about Steve's dad. That's just sad and tough. But I loved your writing and stitching. And the story about getting the Christmas tree. Something about the lights on a Christmas tree add such magic to this time of year. I am sorry to hear that you suffered such a sad loss this Christmas. Glad you were all able to take comfort in each other.